Tucked away in a premier location you will find this little gem of a house. Ecclectically styled, with dashes of colour and comfort all round. Note for AIMs Games - can accommodate up to ten with a five night minimum stay. Location is everything; with the Mount shops a 10 minute walk away and a 3 minute stroll to Bay Oval for all the cricket fans. Featuring a spa pool, fantastic outdoor entertaining, a funky deck and outdoor shower - all the ingredients for the perfect stay. The premium position of Oceanview Road offers proximity to the shops, the beach and the Mount. This funky three-bedroom home is set back from the street and thoughtfully equipped for your perfect holiday. After a trip to the beach you can drink cocktails on the deck, soak in the hot spa or fire up the barbie and enjoy the beautiful outdoor area. The central Mount restaurants and shops are a short walk or drive away. Leisure facilities such as the Bay Oval and Mount Maunganui are close by so you can watch a game of international cricket, walk up the Mount, take the family out for dinner, and stop by Pilot Bay and admire the cruise ships. Additional extras including Wifi, a spa pool, Apple TV, Sky TV, Playstation 2, a DVD player, board games, Nespresso machine and heat pumps are all included to make your stay comfortable and enjoyable. Hi I'm Tania and welcome to our family home. We've decided to share our home with those who want to take a break and enjoy the beautiful Mount beach, the gorgeous cafes and community of Mt Maunganui. As a family we've lived in the Mount on and off for over 40 years and at this time we get to share it. We love the Mount and the Mt Maunganui community. If you love summer cricket at Blake Park, stunningly long summer days at the beach (the Mount has the highest number of sunshine hours in NZ!) cruising in to cafes, bars and boutique shops you'll love the location of our home. A lovely property in a great location, particularly handy for the beach but comfortable walking distance for shops and cafes. The house is well equipped and very comfortable; perfect for two couples and a couple of young kids. 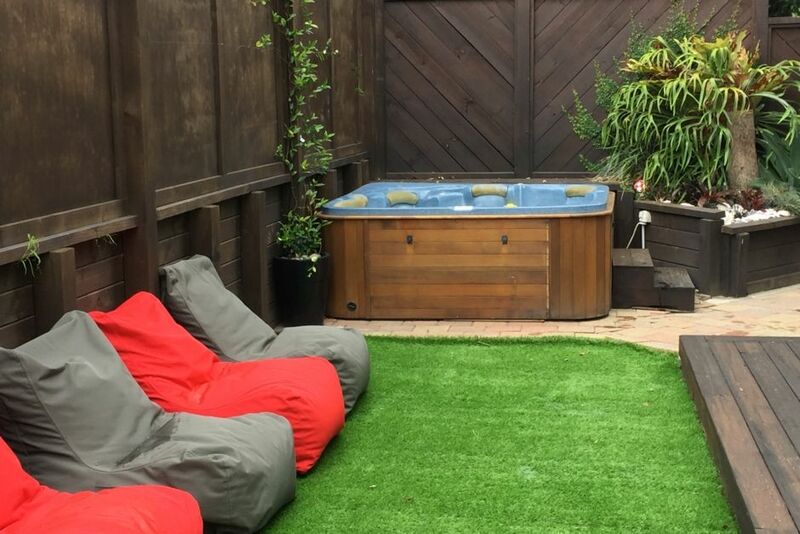 The outside area with spa, beanbags and barbecue was a real bonus. This was one of the best value bachs we've stayed at, would happily come here again. Fantastic location and even better than the photos suggest.